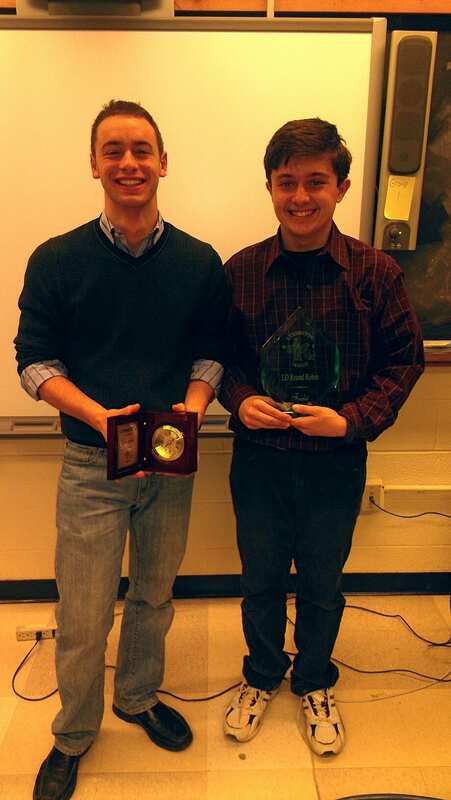 Lexington, MA–Finals of The Lexington Round Robin featured a crosstown throwdown: Sacred Heart’s Adam Tomasi, winner of the retribution pod, faced hometown heart throb Adam Hoffman, first-place finisher in the rehab pod and top speaker overall. On a 3-2 decision, Hoffman emerged victorious. Adam H is coached by Sara Sanchez, Chris Palmer, Alex Zimmerman, and John Heizelman; Adam T is coached by Jacob Nails.